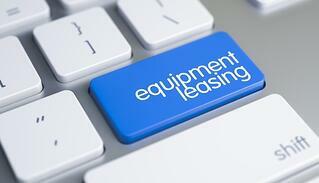 Equipment Leasing | Wilmar Inc.
Equipment Leasing - What Makes The Most Dollars And Sense? Even if you have the money to purchase the equipment you need, it may not make the most financial sense for your business moving forward. Leasing equipment offers you greater financial flexibility, helps you keep up with changing technologies, and may offer you tax advantages. Gain immediate access to the most up-to-date business tools. The equipment also shows up on your income statement as a lease expense rather than a purchase. If you purchase it, your balance sheet becomes less liquid. Regardless of what field you’re in, we can provide you with the leased equipment you need thanks to our relationships with providers around the country. Leasing equipment through Wilmar is a way for you to further consolidate your business needs with one turnkey provider and a simple way to make your life easier. To discuss your equipment needs, and to find out if leasing through Wilmar makes sense for you, please feel free to call us.